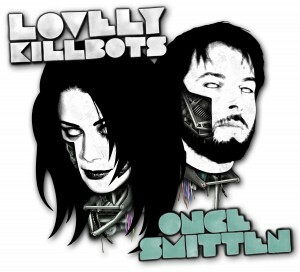 Once Smitten, the sophisticated new album from Toronto’s Lovely Killbots, showcases their unique brand of post-indie-dance-rock. Produced by the stellar Gavin Brown (Metric, Sarah Harmer, Billy Talent, etc) and Dave Mohacsi, Once Smitten is a real gem, sonically deep and conceptually grand. From party trip to real serious, the band continues to establish their authentic and imaginative sound through a mixture of gorgeous vocals, heavy analog synths, lovely melodies and huge complex drum beats that reverberate in your mind for days and days and days.